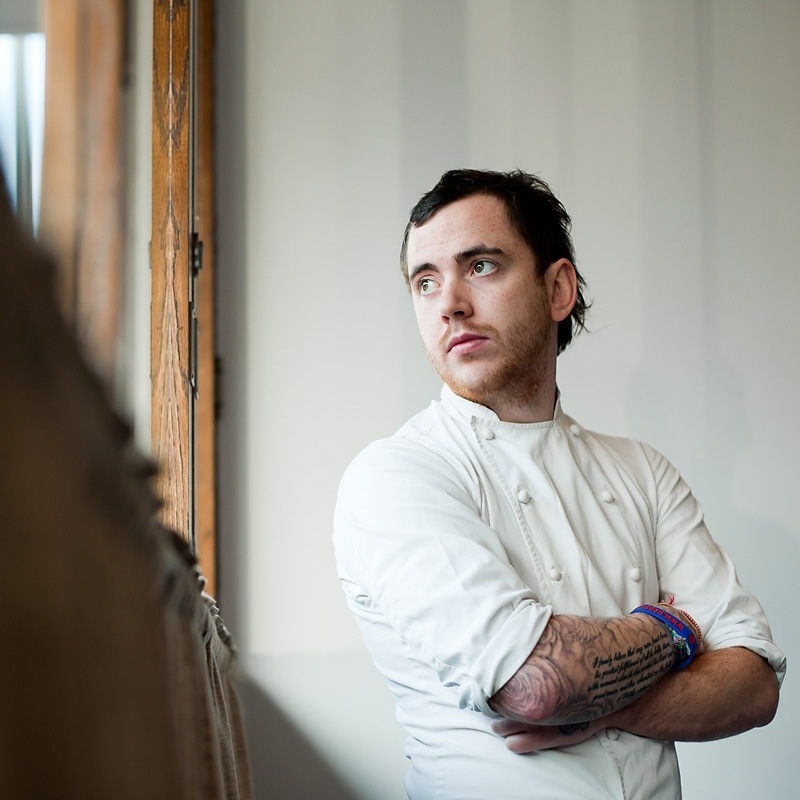 Normally, I do not like using words like amazing, wunderkind, or repeat some “clichés” heard many times, but the Nottingham-born Tom Sellers is one of those extremely talented young chef who at 25 years, has already opened his first restaurant. And not a restaurant in the countryside with a few clients per day, a restaurant in London! Looks like Tom Sellers’s path has been continuous and flawless. 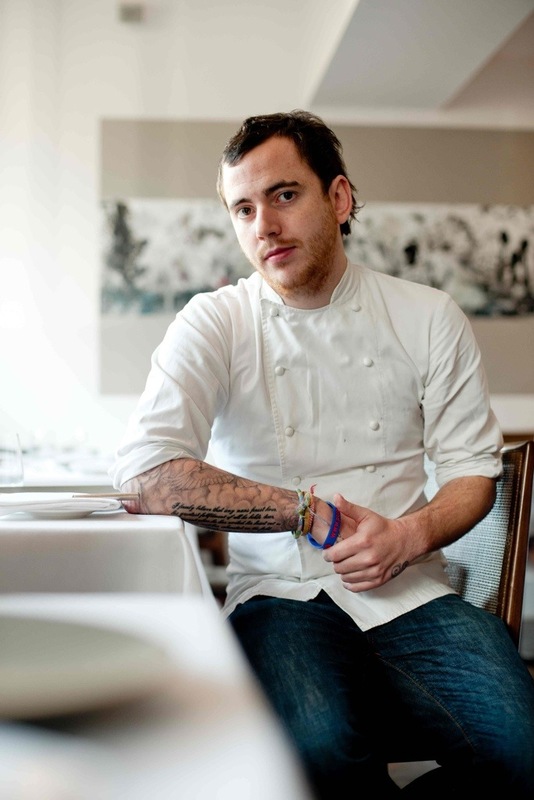 He started very young, he worked for Tom Aikens and he makes passes at Per Se (Thomas Keller), Trinity (Adam Byatt) and Noma (René Redzepi). In 2011, he tested its “cuisine” and concept by launching a pop-up restaurant “Forward” and now in 2013, he open the highly anticipated “Restaurant Story”. I am convinced that his style evolves, to refine, but we can already see in Tom Sellers a cuisine rooted in British “terroir”, highly personal and creative. There is certainly an influence of Noma in “this complexity of simple appearances,” where each dish, each product has a few things to tell. As Corneille said: “Aux âmes bien nées. la valeur n’attend point le nombre des années”. 1-(Scoffier) What is the philosophy behind your “cuisine” in general and at “Story” particular? TSellers– My food is British, seasonal and driven by history. Telling a story through food and the influences that food has had on my life is important to me. I have found myself in food and my own style, which isn’t over-worked or over-influenced by anyone in particular. It is me on a plate. 2-(Scoffier) How do you explain the concept behind your new restaurant “Story”? TSellers– Burnt onions from eating hot dogs at the fairground. That flavour is one of the strongest childhood memories I have of food and eating. 5-(Scoffier) You worked for chef Tom Aikens, at Per Se, at Noma and with chef Adam Byatt (Trinity). What you learned at these restaurants? TSellers– So much. Firstly, how to cook and what it takes to work in a professional kitchen. Then I learnt how to manage and organise not only myself but others. I learnt how to get the best out of myself and the people around me and how to get the best out of flavours and ingredients. Finally, I learnt how to look at food differently. 6-(Scoffier) Is there any other people who inspired you in the kitchen? TSellers– The other chefs I have worked with have all given me inspiration. But inspiration also comes from all sorts of unexpected places, not just the places I’ve worked at. TSellers– I look to the history of food, things that are iconically British; what is amazing that season; and incorporating flavours and ingredients I love, for example gin. The recipes are developed over time and through testing, there isn’t really a short-cut. 8-(Scoffier) I had the chance to interview several talented young English chefs, the restaurant scene looks very dynamic, creative, original. But is it easy to open a restaurant in London now? Your pop-up “Foreword” was a necessary step? TSellers– It’s not easy to open a restaurant in London at all. There are too many moving parts, it isn’t just down to me, my food and what I think is right. Finding the right site, surrounding yourself with the right people and constantly pushing forward all the time is the only way to keep it moving. Of course there are set backs, but I’m focused on the goal of opening, then the real work starts. The pop up was a necessary step, a shop window if you like for Story. I’ve had a great career and worked in some fantastic places but it’s always been cooking other people’s food. Foreword allowed me to cook my own food and the response was both massively encouraging and humbling. 9-(Scoffier) Can you give us a detailed recipe (Signature dish or other) that is characterized the cuisine of Tom Sellers? TSellers– Recipe: Bread and dripping: a candle made from beef fat that runs into an old fashioned candle well. Then home-made bread used to dip into the fat and mop it up with. 10-(Scoffier) What are your goals (ambitions) as chef (maybe a book…) and for your restaurant? TSellers– My goal is to have a restaurant that people are proud to work at and proud to come to. That’s it! Credits at Ed Tyler for the photographs.